Driving lessons in Wakefield, Leeds, Dewsbury, Batley, Ossett, Rothwell, Woodlesford, Normanton, Pontefract, Castleford, Featherstone, Barnsley, Royston, Horbury and surrounding areas. For more information please contact me on 07584 023709 or email me via my contact me page. 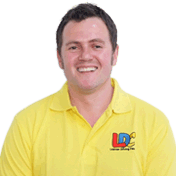 Hello my name is Damian Horsley, I am a fully qualified Government Approved Driving Instructor (ADI). I provide intensive and semi-intensive driving courses as well as individual driving lessons using the unique LD System of driving tuition. I can normally cover Wakefield, Leeds, Dewsbury, Batley, Denbydale, Ossett, Rothwell, Woodlesford, Normanton, Pontefract, Castleford, Featherstone, Barnsley, Royston and Horbury plus the surrounding areas. 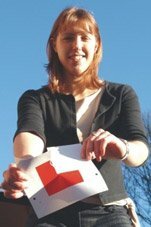 So if you are interested in taking driving lessons or an intensive driving crash course with a patient, friendly driving instructor in Wakefield, Leeds, Dewsbury, Batley, Denbydale, Ossett, Rothwell, Woodlesford, Normanton, Pontefract, Castleford, Featherstone, Barnsley, Royston and Horbury and the surrounding areas please contact me. I provide driving lessons, intensive driving crash courses and pass plus training in Wakefield, Leeds, Dewsbury, Batley, Ossett, Rothwell, Woodlesford, Normanton, Pontefract, Castleford, Featherstone, Barnsley, Royston, Horbury and surrounding areas.